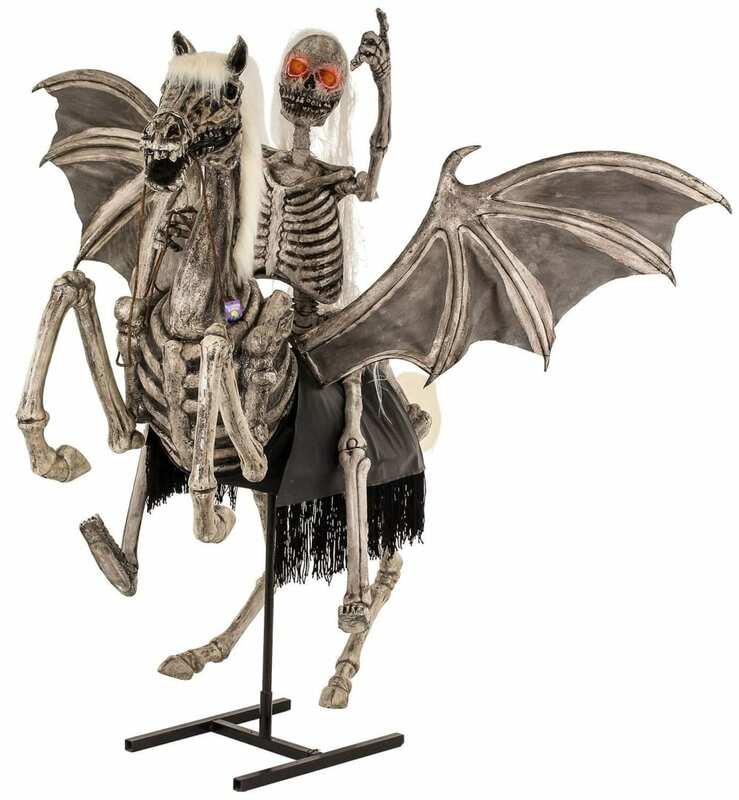 An impressive life-size terrifying skeleton zombie Pegasus horse with animated flapping wings that looks as if it’s galloping and rearing into the air to start flying along with it’s menacing skeleton zombie rider! Both the Pegasus and and the rider are made with foam filled thick rubber latex that’s been gruesomely sculpted into a realistic looking ghoulish skeleton zombies. This mythical winged divine stallion has animated wings that move and flap back and forth and the ghostly riders evil red eyes also light-up and flash. Riders arms can be posed in any position. Professional high quality standing animatronic Halloween prop decoration that is held up with a sturdy steel internal frame with a wide base. The perfect terrifying Halloween event prop.